My friends are on a roll! Here’s another whoo-hoo for a deserving author. Marlene has been doing an alternate history based around the sinking of the Titanic. 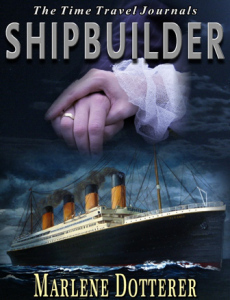 Shipbuilder is the first in that series. Go check it out, and while you’re at it, take a look at her wonderful paranormal romance, Worlds Apart. I promise, you won’t regret it! 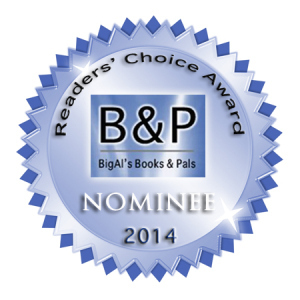 I’ve been doing cartwheels all day: the popular review site, Big Al’s Books and Pals, has nominated The Time Travel Journals: Shipbuilder for their 2014 Reader’s Choice Award in Speculative Fiction! Happy author here, you betcha. B&P gave Shipbuilder a 5-star review back in October. They are continuing the love with this great nomination, but YOU have to help. It’s a Reader’s Choice award and that means you get to vote for it. Voting opens March 2nd at 10:00 Eastern Time and ends at Midnight Eastern Time on March 12th. It’s not live yet, but check back to see your choices. I’ll post the link again once the page is up and running. Please pass the word. I’d love for Shipbuilder to win!